"I recommend Gold Star to anyone. The people there are courteous, friendly, and help with my financial needs"
Denton is located in one of the fastest growing areas in the United States just north of Dallas/Ft.Worth. We are a memorable destination and a place of opportunity for more than 120,000 residents. 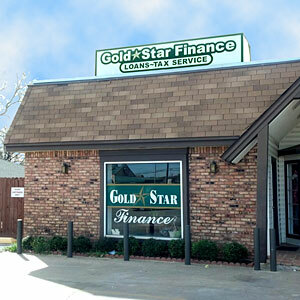 Gold Star Finance has been serving Denton,Texas for 20 years backed by our commitment to help people with all their financial needs and make a difference in their lives. Our goal is build relationships with our customers and stay very well connected to communities. Our staff is courteous, professional and always held to the highest standards. We specialize in providing private and affordable loans. We provide our customers with personalized service and are always ready to serve you!